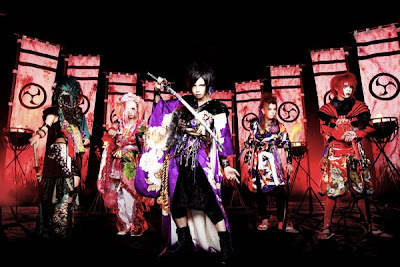 Kiryu just announced that their new maxi-single "悦ト鬱 (Etsu to Utsu)" will be released on February 20th (4 Types). Limited Edition Type A (1,890yen) will include CD (2 songs) and a DVD (including "Etsu to Utsu" PV & Off-shot); Limited Edition Type B (1,890yen) will include CD (2 songs) and a DVD (including "Etsu to Utsu" all members multi-angle PV) and Regular Edition Type C & D (1575yen each) will include CD only (3 songs with different track and corresponding karaoke ver. ).